It’s no surprise that there are a variety of risks that come about during any sort of home renovation project. Still, one major risk of floor projects that most people don’t think about is the release of tile dust into the air. Now, dust is the collection of microscopic remnants of various broken down materials. It can gather everywhere, on or beneath any surface. It can even be formed from the deconstruction of hard materials like tile. For the most part, dust is seen as a harmless but inconvenient thing. However, long-term exposure to tile dust can bring about a number of health issues. Even the most spotless house contains some degree of bacteria and fungi. In fact, the average American household is a breeding ground for an estimated 7,000 types of bacteria and 2,000 variations of fungi— all of which can be found in dust. During renovation projects, any of the bacteria or fungi trapped under the tiles can be released into the air with the tile dust when flooring is removed. Dust is basically just a collection of waste particles. Still, not very many people stop to think about what dangerous things dust can contain— especially tile dust. 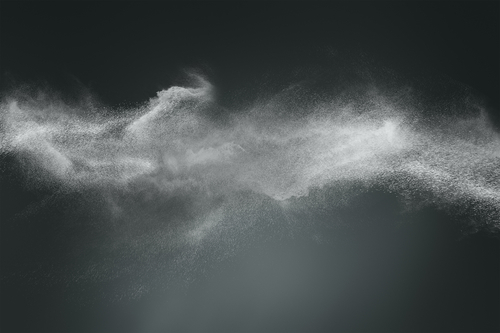 Any number of chemicals can make up dust particles, and with prolonged exposure, your chances of developing certain health issues begin to increase. This is especially true for tile dust that contains crystalline silica. In flooring renovations, the tile is broken apart and removed. During this process, crystalline silica can be ground down to microscopic particles and released into the air as what is essentially tile dust. And with the increased popularity of polished concrete and tile flooring, this release of crystalline silica tile dust during renovations is now more common than ever. So, what exactly is the danger? While most of these conditions can be treated with medication, silicosis can be fatal and currently has no cure. Thankfully, the chances of contracting any of these health conditions as a result of breathing in tile dust are pretty slim. Furthermore, more common conditions like occupational asthma are temporary and not as hazardous; just unpleasant. Allergies triggered by normal dust can include nose, throat and eye irritation. However, these symptoms worsen tenfold with long-term exposure to tile dust. In fact, it’s pretty common for inflammation in the nose, throat, and eyes to occur. This has become known as ‘occupational asthma’ and is one of the most common consequences of crystalline silica tile dust inhalation. According to the American Academy of Allergy Asthma and Immunology, occupational asthma affects about 15% of construction workers and do-it-yourselfers. Tile dust inhalation is something to avoid during any sort of renovation project. If you need your tile, hardwood or even carpet flooring removed, avoiding tile dust is nearly impossible if you take on the project yourself. This is why dustless floor removal is so important. With Dustbusters, you can breathe easy knowing that your project will get done without running the risk of inhaling tile dust. Our team uses state-of-the-art flooring equipment to ensure a safe, quick and dustless floor removal. Call us today at 866-883-8783 for the best floor removal service in Florida.